She died Sunday, Dec. 2, 2018, at the Dougherty Hospice House in Sioux Falls, S.D. Beverly Ann Staeck was born March 22, 1930, in Alexandria. She was the daughter of Fredrick and Martha (Ketter) Staeck. Beverly was baptized and confirmed in the Lutheran faith and attended school in Alexandria. Bev continued her education at the Kaehler School of Nursing in Rochester, and went to do her clinical rotations in Chicago. On Aug.17, 1952, Beverly was united in marriage to Arden Carl Kremin in Leaf Valley Township, Douglas County. The couple made their home in Blue Earth, where Bev started her nursing career at the Municipal Hospital. In 1959 the family moved to a family farm near Cottonwood as Bev worked as a devoted farm wife, mother, and homemaker. She and Arden raised three children and spent 42 years together before he passed away in 1995. Bev was a member of Christ Lutheran Church in Cottonwood where she was active in the Ladies Aid and Circle. 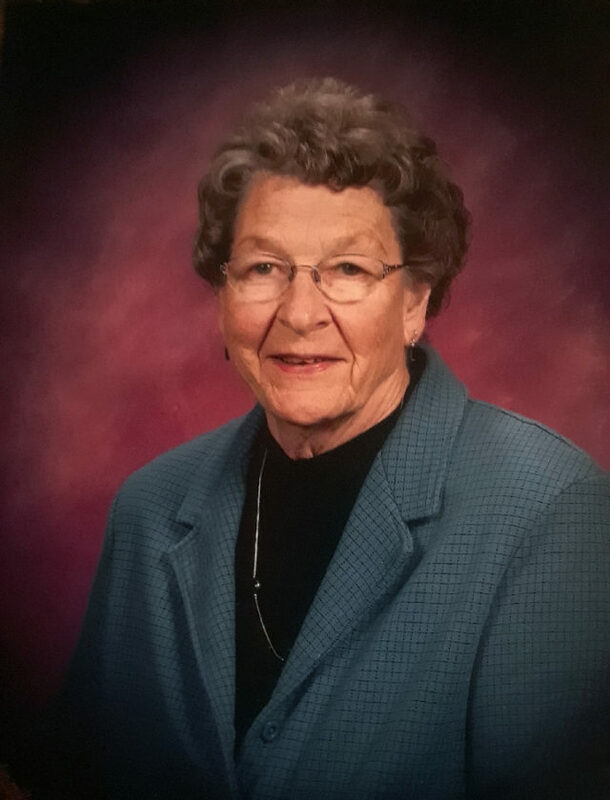 Her enjoyments in life included camping trips with the 5th wheel after retirement, fishing, playing cards, scrabble, gardening, supporting her German heritage and music, time spent with her grandchildren and great-grandchildren, and years of carefree traveling with Arden on bus tours. Bev was known to be prepared at all times, ready with a lunch or a snack, napkins, and gum on Sunday mornings. Beverly spent her final years at Fieldcrest Assisted Living in Cottonwood where she made many good friends and memories. Bev is survived by her three children, Brenda Hagen (and Dennis LaMott) of Burnsville, Marvin (and Nancy) Kremin of Cottonwood, and Lyndon (and Nancy) Kremin of Sioux Falls, S.D. ; eight grandchildren: Kjerstin Hagen, Peder Hagen, Samuel (Suha) Kremin, Katie (Adam) Rigge, Megan Kremin, Sarah (Burke) Sorenson, Andrew Kremin, Kaylee DeLeon; seven great-grandchildren: Annabel, Evelyn, Hazel, Lydia, Michael, Isaac, and Henry; and other relatives and friends. She was preceded in death by her husband, Arden Kremin, and parents, Fredrick and Martha Staeck. The family of Beverly Kremin thank the staff at Dougherty Hospice House in Sioux Falls for the compassionate care and kindness they provided to our mother.